Los próximos 14, 15 y 16 diciembre se celebrará en Tenerife la I edición de la Copa de Kendo Ryoshinkai Canarias. Serie completa de kendo kata, ejecutada por kenji Takizawa sensei 8º Dan kyoshi (Uchidachi ), y Antonio Gutiérrez sensei 6º Dan (Shidachi), en Barcelona en el 2011, durante el Trofeo Kurosawa. The ancient cultural traditions of the Samurai's past have come face to face with modern-day Japanese society. 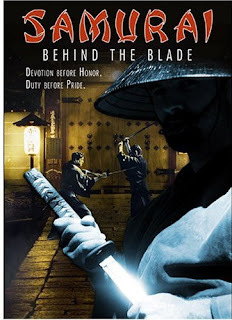 With the latest sources from science, literature, and history, Samurai: Behind the Blade sheds new light on this unique and mysterious brand of elite warrior. In a rare, behind-the-scenes documentary, the lives of actual warlords are unmasked: their private thoughts, their obsession with death, their mastery of the fine arts, and their gruesome truths about the high price of honor.